You could probably leave your bag next to the lockers and it would unlikely be stolen in Japan. 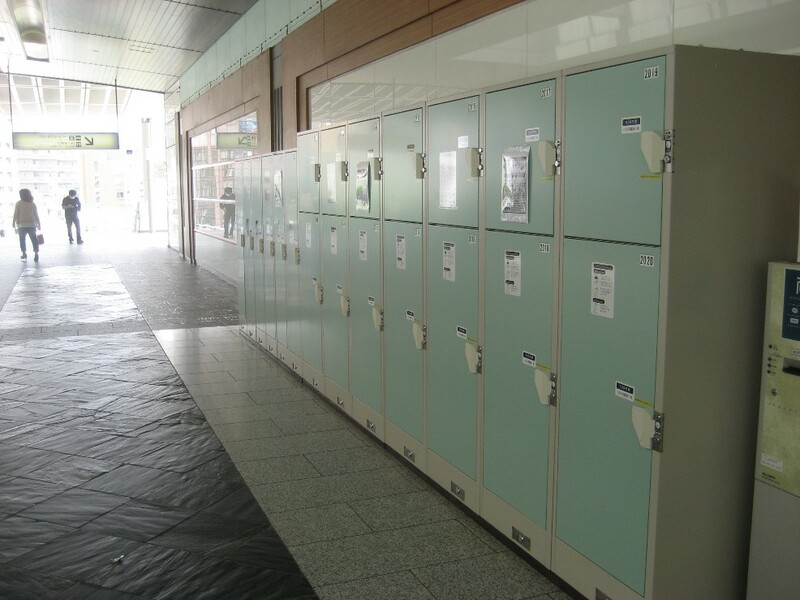 The Nagano train station has recently installed some large lockers so you can now store your skis and snowboard bags securely whilst you go and explore the city center. The lockers are located on the upper concourse just opposite and left as you come out of the shinkansen (bullet train) ticket check. There are also some smaller lockers at the bottom of the stairs on the street level of the west (Zenkoji) exit. The largest ones cost 600 yen for the day. 6 x 100 yen coins. Easy to use. The instructions are on the front of the lockers. The lockers are only there for the winter and early spring to provide storage for skis and snowboards. 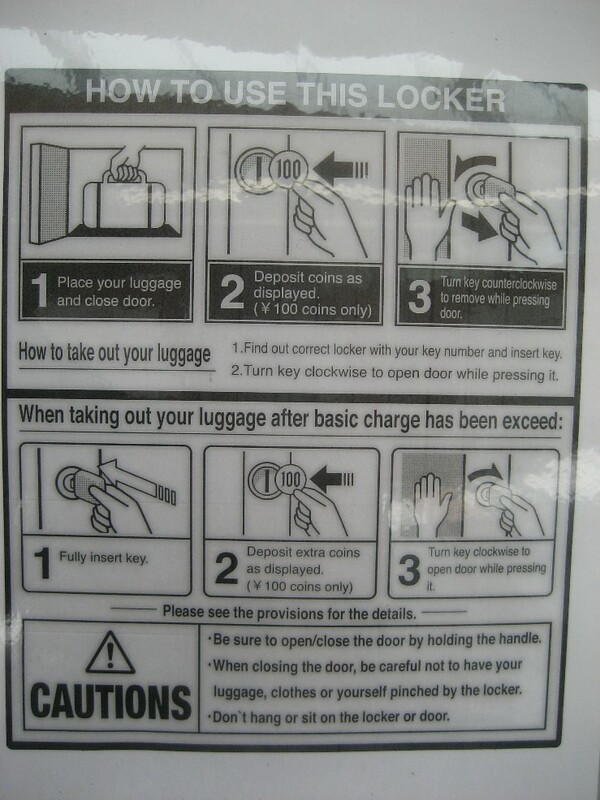 They are taken away during the summer so if you have suitcases and bags please use the lockers on the ground level. This entry was posted in Japan and tagged Nagano luggage storage, Nagano ski lockers, Nagano ski storage, Nagano snowboard storage, Nagano train station, travel. Bookmark the permalink. Thanks for this info Tony. This will be really useful for a lot of people while they grab a bite to eat or go to visit Zenkoji.